Madeleine Beatty credits caring Evergreen faculty and students with helping her discover her talent for math. Odds suggest Madeleine Beatty ’13 shouldn’t be a data scientist. She shouldn’t be managing a team at tech giant Amazon, figuring out complex problems for the largest internet retailer in the world. Beatty’s middle and high school experience was tough. She was placed in special education classes because of dyslexia; she was told she wouldn’t progress like other students. Reading and writing were difficult. And math, once a love in her home- schooled elementary years, turned into something completely inaccessible. “The public school system decided the track I would follow. I wasn’t allowed to progress on areas I excelled in like math; everyone was held back based on one another’s weaknesses,” Beatty recalled. After high school, everything changed. Beatty was ready to pursue a degree and was facing single motherhood. Evergreen was close to home and she had heard that math prerequisites were not an obstacle. So with a baby on the way and the goal of becoming a doctor, she enrolled. 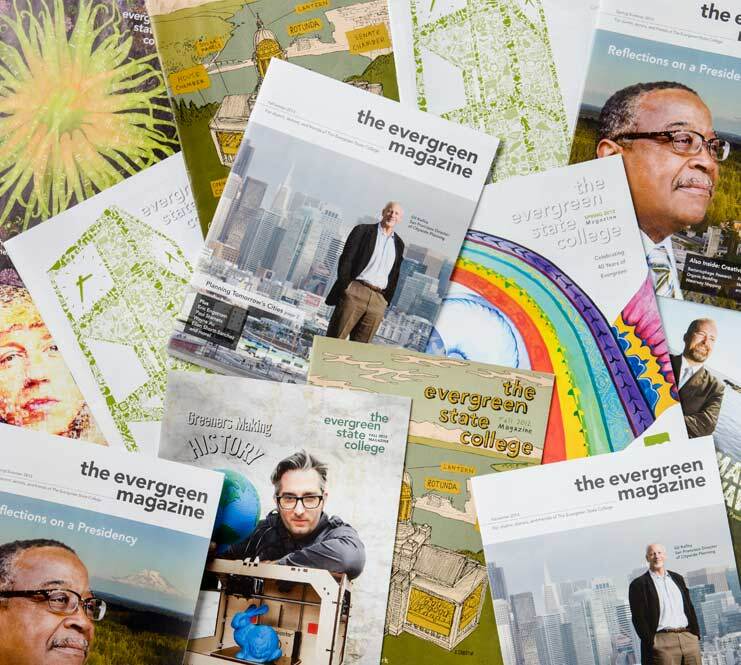 Once at Evergreen, things changed again. Beatty re-discovered math. Despite her reservations, she knew she needed math as a base for any science studies. Her first program was Algebraic Thinking—an offering that would forever influence her life trajectory. By the end of her second year, she had completed a year of calculus and her baby was taking her first steps. She’d also signed on for work-study in the Quantitative & Symbolic Reasoning Center (QuaSR). “My relationship to mathematics grew into something more real and vital than the inclination I once had to become a doctor,” she said. As Beatty moved toward pure math, a few faculty members stood out in helping her succeed. As part of an Independent Learning Contract, Beatty and Hastings would spend hours together, poring over partial differential equations. “Having access to someone like Rachel—who has two Ivy League degrees—was unreal, something I am certain is unique to Evergreen and the passion for learning it represents,” said Beatty. Another faculty mentor, Krishna Chowdary, invited Beatty to be a teacher’s assistant in the program Meaning, Math, and Motion. And in the QuaSR Center, Beatty grew close to QuaSR Director and Faculty Member Vauhn Foster-Grahler, who Beatty describes as “pivotal” in her rediscovery and love of math as well as her continued passion in diversity and inclusion issues. Beatty graduated from Evergreen with her dual B.A./B.S. degree. Many in her shoes would have congratulated themselves on a job well done. But Beatty was far from done—grad school beckoned. After being accepted into the University of Tennessee, Knoxville, Beatty made the difficult choice to leave her then-three- year-old daughter, Mathilde, with family to pursue her grad school dream. The long-distance relationship was sustained through daily phone calls and letters, and a U.S. map with one thumbtack marking Seattle and the other Knoxville. After a year at UT, Beatty landed a summer internship at Amazon in Seattle, working on predictive modeling for shipment patterns. That opportunity opened her eyes to her earning potential. She made enough money to bring her daughter back with her to Tennessee while she completed her master’s degree in applied statistics. 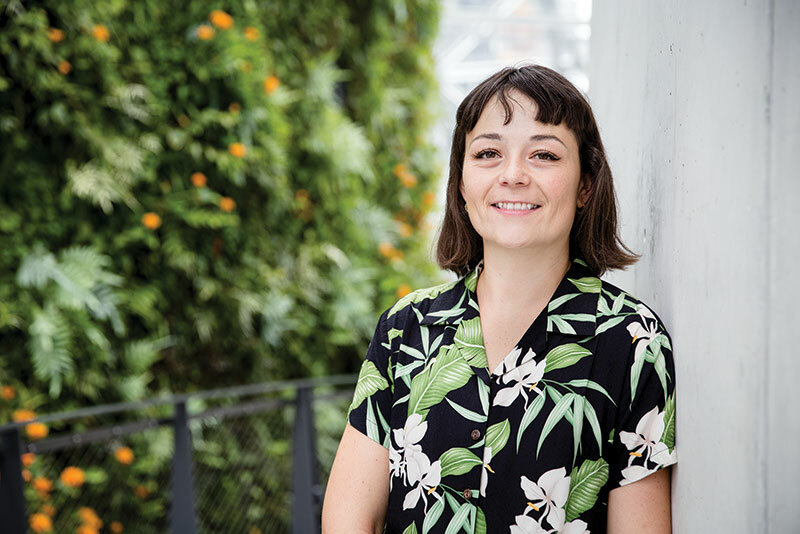 Based on her internship performance, Beatty was offered a permanent position as a data scientist at Amazon. 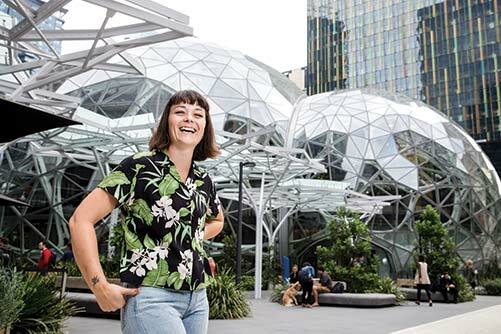 Madeleine Beatty in front of Amazon's spheres, which are part plant conservatory, part office space, in downtown Seattle. At Amazon, Beatty said she uses the skills she learned at Evergreen daily. Not only the hard skills, such as preemptive problem-solving and data analysis, but the soft skills that enable people to communicate across significant differences. Part of that mindfulness is around equity and diversity. Beatty is on the board for Diversity in Operations, where she conducts workplace surveys and provides analysis and recommendations for more equitable opportunities.